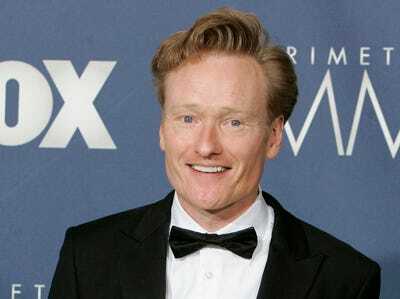 We might see Conan O’Brien on the small screen again soon. According to Variety‘s insiders, his NBC exit pact allows him to sit in TV and print interviews starting on May 1. He’ll be busy on tour until June 14, and still can’t create his own TV show until September. But that doesn’t mean he couldn’t make some stops at The Daily Show or even take a stab at co-hosting the Late Show with David Letterman between dates. Variety reports: What he can’t do, however, is make disparaging remarks about NBC — and it’s unclear how much he can say about what transpired during the Great Late Night Battle of 2010. NBC likely put the May 1 date into the exit package in order to install a cushion between Jay Leno’s “Tonight Show” return, and before O’Brien could show up on a competing program like Letterman. As for Conan, he isn’t completely “gagged” of course. We’re still following him on Twitter.